For many Democrats, Robert Mueller's investigation has long stood as their best, last chance to take down President Donald Trump before the next election. But what if the big reveal doesn't reveal much new? The imminent release of the special counsel's report marks a moment of reckoning that may deflate Trump critics' sky-high expectations. On Capitol Hill at least, Democratic leaders in recent weeks have worked to convince restless liberals across the country that Mueller's probe of Russian interference into the 2016 campaign was the beginning, rather than the end, of the inquiries. 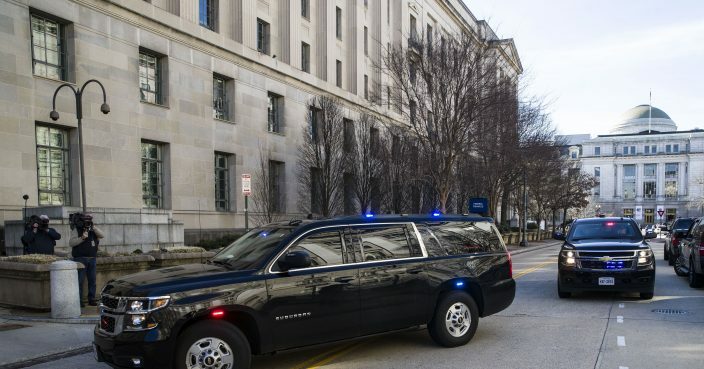 They are mounting far-reaching congressional investigations into Trump's White House and business dealings, threatening to subpoena Mueller's testimony and promising an onslaught of high-drama hearings. It's unclear whether that's enough to satisfy the base of the Democratic Party, which has already waited two years for an explosive report, which they're now told is unlikely to include any more criminal indictments. Liberal activists are already preparing for nationwide protests should the Trump administration not release the full report or appear to be hiding key evidence. "There is an enormous amount of energy behind this," said Democratic strategist Zac Petkanas. "And I think people should not underestimate what a White House cover up will unleash if they decide to hide one word of the report or underlying evidence. We are at the beginning of a long fight to ensure that there's not a cover up." Despite the intense scrutiny on the report, polling suggests that most voters' have hardened views of Trump and allegations of corruption, which won't change regardless of what Mueller has uncovered. The bigger question becomes, politically at least, how each side will use the investigation to mobilize its voters heading into the 2020 election. Democrats dominated elections for Congress and statehouses across the country last year, but there's no guarantee that the anti-Trump energy that fueled their success won't fade in the coming months. In the Democratic presidential campaign over the weekend, Mueller's report didn't surface much as the candidates trying to unseat Trump talked instead about health care, climate change, the economy, gay marriage and slavery reparations. In Mueller they had a truth-teller beyond reproach, whose credentials and bipartisan backing gave the questions swirling around Trump more than an air of credibility. Democrats put him "right next to Jesus," cracked Republican Rep. Jim Jordan of Ohio on Sunday. Republicans, for the most part, backed Mueller's work. As Democrats go it alone, they lose that stamp of impartiality, and expose themselves to Trump's constant cries of "presidential harassment" or "witch hunt." House Speaker Nancy Pelosi told Democrats over the weekend Americans "deserve the truth." But Republicans, feeling vindicated that Mueller's report will show no further indictments, are ready to turn. Sen. John Cornyn of Texas tweeted that while the special counsel conducted a criminal investigation, "what will now follow is mainly political harassment leading to, perhaps, a futile impeachment exercise." Billionaire liberal activist Tom Steyer, who has been running ads calling for Trump's impeachment, noted that many Republicans are already suggesting that Mueller's report clears Trump, even before the details are known. Even if there's not a new smoking gun involving collusion with the Russians, Steyer said, there's already more than enough evidence of wrongdoing in other areas to justify removing Trump from office. "We've never agreed with the Democrats who said, 'Wait for Mueller report, everything else doesn't matter,'" Steyer said. "We've always said this is a broad web of criminality that has been going on before Mr. Trump became president, during his inauguration, and after he became president." So far, the Democratic Party's 2020 presidential field has largely avoided talking about the Mueller report, sidestepping questions about impeachment and calling simply for the report's full release when asked. Former Texas Rep. Beto O'Rourke had been the only presidential contender to have called openly for impeachment, but he, too, backed off in recent days, saying instead the matter was up to Congress and the public. Two years ago, when Mueller first set up shop, his arrival provided a semblance of order after Trump's surprise election night victory and the questions raised by the intelligence community's January 2017 findings that Russia interfered with the election in hopes of tilting the outcome to Trump. Over and over again, when Democrats — and Republicans — were asked about potential wrongdoing or collusion by Trump, they could stand behind Mueller's eventual report. Democratic officials, in particular, relied on the special counsel's work to tamp down their left flank's calls for impeachment as they waited to learn more about the Trump campaign's possible collusion with Russia. While the months passed, lawmakers could avoid making tough decisions. Now that shield is being stripped away, without much certainty over what they've actually found out and what comes next. "For many members of Congress the Mueller report has been a way to bid time before taking action," said Alexandra Flores-Quilty, a spokeswoman for the activist group By the People, which favors impeachment. "The Mueller investigation has shown us what the American people already know and that's that Trump and his inner circle are corrupt," she said. "Our group and many people in the public believe we already have enough information without the Mueller investigation and the Mueller report that we should pursue impeachment now." Pelosi has drawn criticism from some in the party for her reluctance to pursue impeachment, but she's been here before. The speaker views impeachment as politically fraught unless Democrats have the groundswell of public opinion behind them. Front of mind is her experience during the Republican drive to impeach President Bill Clinton, which voters saw as overly partisan, especially once the independent counsel's report was released, and contributed to GOP electoral losses. Rep. Pramila Jayapal, D-Wa., a member of the Judiciary Committee and co-chair of the Congressional Progressive Caucus, said this is perhaps an "unparalleled" moment in the country's history and Mueller's work is just the start.